You’ve heard this story before – the child who grows up hoping to one day become a professional athlete, veterinarian, or musician. But this is tale of two young women who skipped the pipe dream and were more passionate about a making a difference, specifically by harnessing the power of women. Dr. Cheri Canon grew up wanting a career in healthcare. As she started her journey, it quickly became apparent that although women were prolific in the industry, females in leadership positions were practically non-existent, especially in radiology, where she decided to practice. Similarly, Rachel Gilbreath’s passion for healthcare started from a young age with an example set by her father, a longtime executive within GE Healthcare. Joining GE 18 years ago, she has had to overcome the challenges many women in the industry do, facing small numbers of women leaders and biases. As her career progressed, Rachel realized that she needed to pay forward what she had learned from her mentors and sponsors along the way. She too, wanted to bring real change to the industry. Rachel now leads GE Healthcare’s strategy for Academic Medical Centers in the US. Setting out to bolster the next generation of women leaders, she has reinvigorated the Commercial Women’s group, increasing membership and representation, which is now over 1,000 members strong. It was this shared mission—redefining women’s roles in healthcare—that brought Cheri and Rachel together. Over a cup of coffee at last year’s Radiology Leadership Institute leadership summit, a unique partnership between GE Healthcare and the Society of Chairs of Academic Radiology Departments (SCARD) was born. In 2018, only 23.1% of radiologists were women. Looking at the broader healthcare industry, women occupy about 30% of all high-level leadership positions and roughly 13% of all CEO positions. 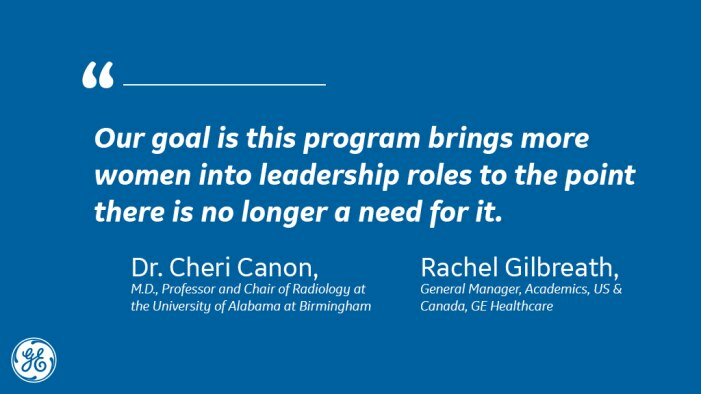 Determined to change these statistics, SCARD and GE Healthcare have announced the creation of the LEAD (Leading Empowering and Disrupting) Program designed to bring women radiology leaders together with the goal of elevating their careers. The year-long program focuses on leadership and mentorship through monthly learning tasks, designated mentors, professional development workshops, and live networking sessions. 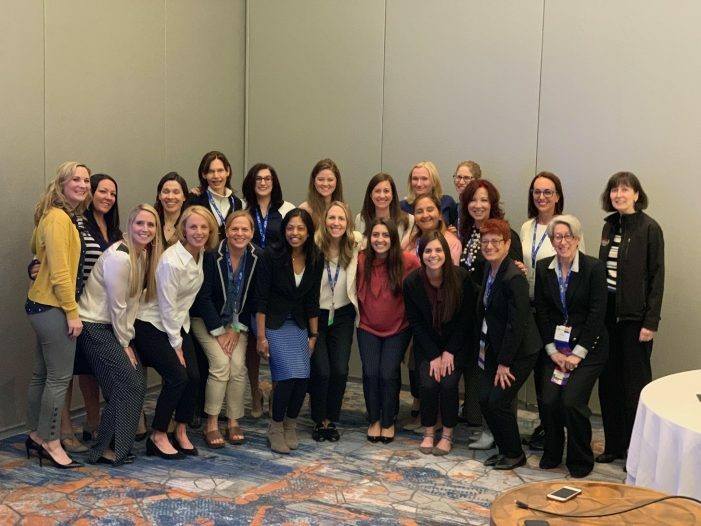 While the women come from separate worlds of radiology and industry, the LEAD Program allows them to align around similar challenges such as gender bias, identifying mentors and sponsors, and building a community of fellow women leaders. The 2018/2019 inaugural class consists of 20 leaders, selected via a competitive application process, and includes talented female Radiologists and GE Healthcare employees that have been recognized as emerging and current leaders in their organizations. Over the year, these women come together virtually and in-person to learn from each other, network and hone their leadership skills. 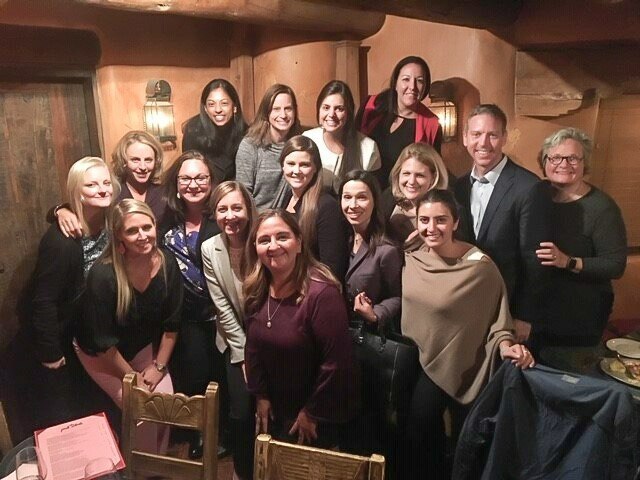 Beyond this community, the participants are additionally paired with female and male executive leaders from healthcare organizations and GE Healthcare. 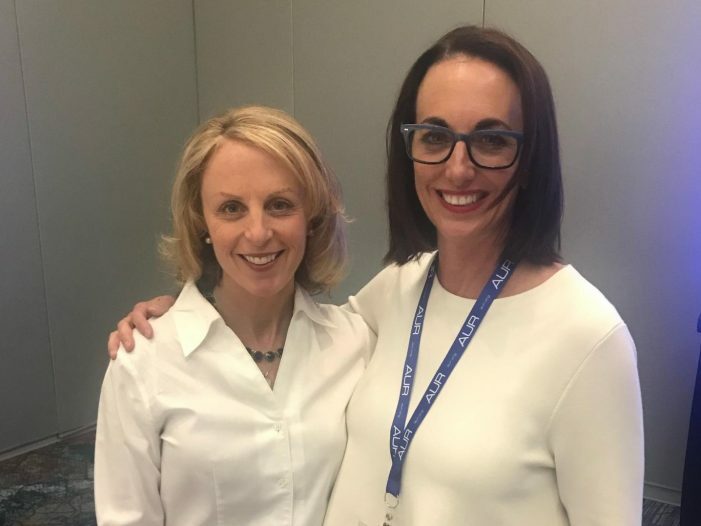 Taking back the learnings from this partnership, both the participating healthcare organizations and GE Healthcare have amped up their investment in elevating women leaders through women’s networks and training sessions. What started over a cup of coffee has afforded these women the opportunity to reshape the typical industry and academic relationship and connect in a new way. Looking ahead, Dr. Canon and Rachel are already planning their next cohort due to the program’s early success.